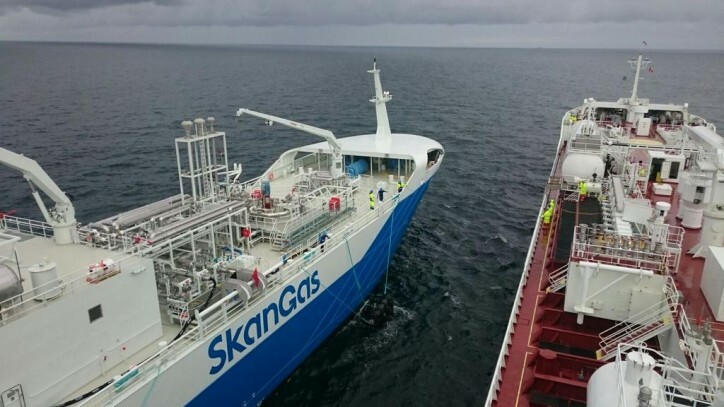 For the first time, the Skangas’ Coralius bunkered liquefied natural gas (LNG) to a vessel. The operation took place in international waters, Northern Kattegat, in the middle of the sea between Frederikshavn, Denmark and Gothenburg, Sweden. The receiving vessel, Fure West, is an oil and chemical tanker with a length of 144 meters. She operates mainly in the Baltic and Kattegat area. 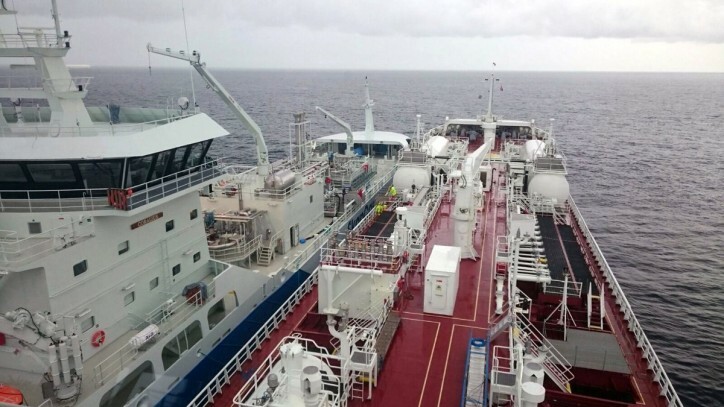 In 2015 the Furetank Rederi retrofitted the tanker pioneering the use of LNG as marine fuel in Europe. 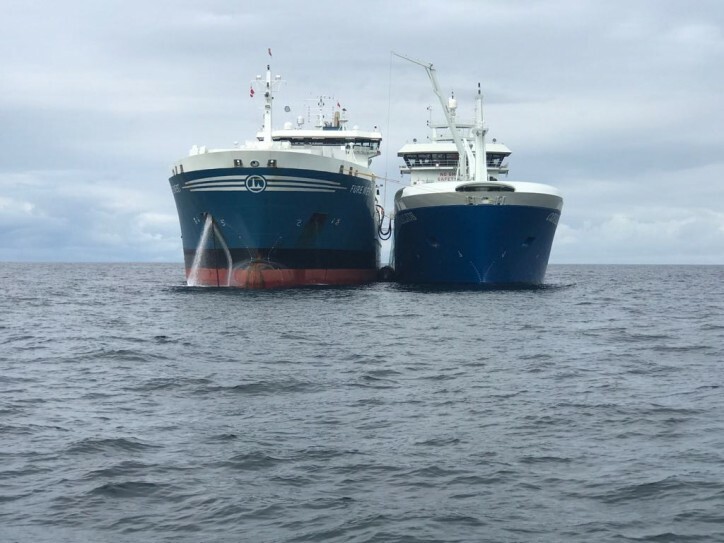 An LNG fueled vessel needs the equivalent service as with conventional fuel by swift and safe operation and fast fuel transfer at sea, not only at the port. Coralius is built with state-of-the-art bunkering equipment to meet exactly this increasing demand for ship-to-ship LNG bunkering. LNG is the cleanest available marine fuel, one that is rapidly becoming more commonly viewed – and used - as a cost-effective alternative. LNG is suitable for all vessel types, including ferries, passenger ships, tankers, bulk, supply and containerships. LNG offers several benefits by reducing local pollution and the global environment. Switching to LNG completely removes SOx and particles, and reduces NOx emissions by up to 85%. In addition, LNG reduces CO2 emissions by at least 20%. Use of LNG as marine fuel also results in compliance with current and forthcoming IMO and EU regulations. 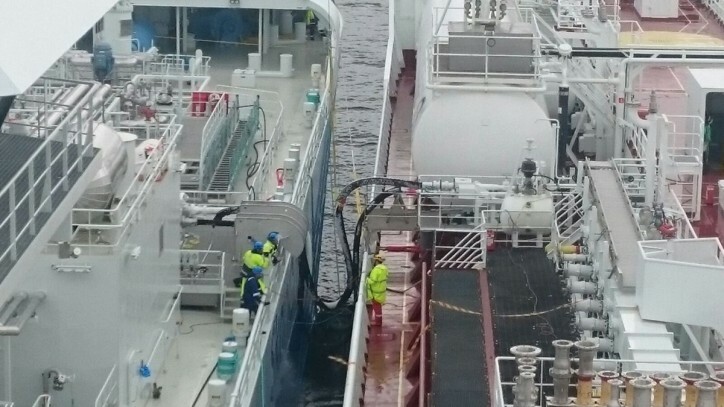 Skangas expects the LNG demand for ships to increase significantly in next few years as responsible shipping companies are seeking cleaner fuel alternatives.